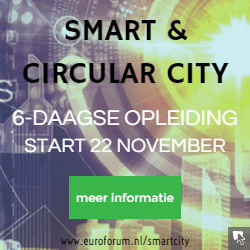 Acceleratio set up the content and (together with Pluraal) delivers the lead lecturers for the 6 days Smart & Circular City Course organised by Euroforum. Participants are given many insights, best practices and tools that help them to tackle the urban challenges that lie ahead. In 2011 there were 7 billion people on this planet, of which 50% living in cities. Urbanization is set to increase. In 2050 we will be with 9 billion people of which three quarters will live in cities. 80% of all economical activities takes place in cities and 80% of all our waste is produced in cities. Cities represent three quarters of energy consumption and 80% of CO2 emissions worldwide and represent the largest of any environmental policy challenge. A megacity is an urban agglomeration with more than 10 million inhabitants. Sixty years ago in 1950, there were only two megacities—New York-Newark and Tokyo. Today, there are 22, mostly in the developing countries of Asia, Africa and Latin America. By 2025, there will probably be 30 or more. If we cannot make cities more sustainable we can forget about making the planet more sustainable. To cope with this continued urban growth we will need to invent new ways to manage cities and make them more effective. With population growing, urbanization and resource stress on the rise we will have to find new ways to live, work, built and travel together. In a lot of places it is not only the population that is aging but also the infrastructure. 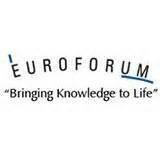 • Diversity and social interactions between inhabitants, governments, companies and the science community. The convergence between digital technology and the world of energy (Energy 3.0) will pave the way for new services which will enable both a better quality of life and reduced energy consumption. In the same way that the IT revolution has been driven by consumer needs, so too will the energy revolution. Blogs, social networks and the like have enabled people to produce information and customize their content. New technologies will make energy self-production possible just like customization of energy usages and consumption. Steps towards a sustainable city require both a top-down process and a bottom-up process. It requires vision and underlying roadmaps from the authorities that go far beyond the political lifespan of the elected politicians. If on the long term calendar of a municipalities it is foreseen that the city hall will be renovated, a district sewer system will be renewed or social welfare housing will be revamped this momentum should be used to set steps towards a smart and sustainable city. But a government can only directly influence maybe 5% of its footprint. To manage the city eco-system it needs to bring stakeholders together and set the boundary conditions for action. Good community management can bring together local stakeholders and give purpose and energy to create bottom-up initiatives. It is about participation in the city. Initiatives that people can identify with and that can be copied to other city quarters or communities. The World Business Council for Sustainable Development has a Vision 2050. By back-casting you can estimate where you should be in 2020 to meet the target towards a world in which nine billion people can live well, and within the planet’s resources. The gap between where we are today and where we should be in 2020 is still significant. An acceleration is urgently needed. Steps towards a Smart City can create new initiatives, inhabitant commitment, green growth and local jobs. Cities around the world are rising to this challenge by pursuing ambitious objectives that will make them more competitive, resource-efficient, resilient and inclusive. Realizing these visions in practice is a complex challenge for city leaders. In particular, they will typically necessitate major transformations in the design, construction and operation of a city’s infrastructure systems – including buildings, energy, mobility, telecommunications, water, sanitation and waste management services – and optimizing the interlinkages between these systems. If you look at the initiatives present in the business community you see many wonderful examples. The smart city is happening today! Businesses that are committed to sustainability and experienced in delivering effective solutions can help cities navigate these challenges and turn a high-level vision into practical and implementable action plans. Business can play a vital role not only in providing specific infrastructure, technology, services and financing solutions, but also in contributing to the strategy that will support the overall optimization of urban systems to drive sustainability.